Now that I live in Hawaii, I have a whole new world of fruits at my disposal and, for the first time, I had too many papayas. After a while, plain papaya with lime gets boring. Time for my go to Plan B…JAM. Making jam is not only great because you end up with something delicious. Since you don’t need to make much at a time, it is great way to use up fruit when you have far too much of it or if you only have a few pieces. A couple of pears or mangoes and you’re in business. Yes, using up produce that would be wasted is a great thing. Yes, it’s nice to have toast in the morning and know that you made that jam with your own two hands. Yes, it is better for you without all the preservatives and other crap from the grocery store kind. But you know the best thing about making jam? Here you have this wonderful, handmade gift that, chances are, the person you are giving it to will never in a million years think to make themselves that you can give away and feel like a freaking hero. 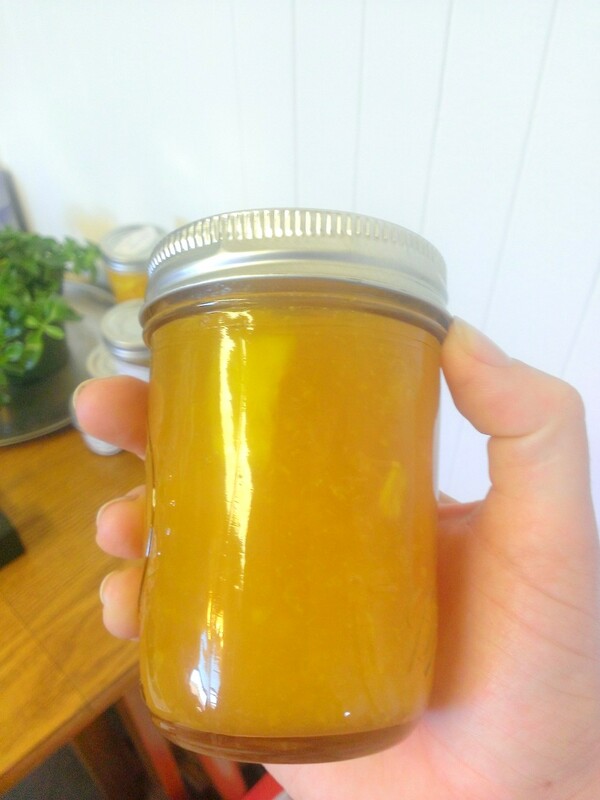 People love to receive a gift that they know you put some time into (they don’t need to know it took as little time as this Papaya Jam, that can be your secret). Giving people homemade food gifts is a tradition that should never go out of style. Especially when it is something as easy to make a jar of jam or some cookies. So, please, throw together a batch of this yummy goodness and remember to give one to someone you think needs a little bit of pick up. 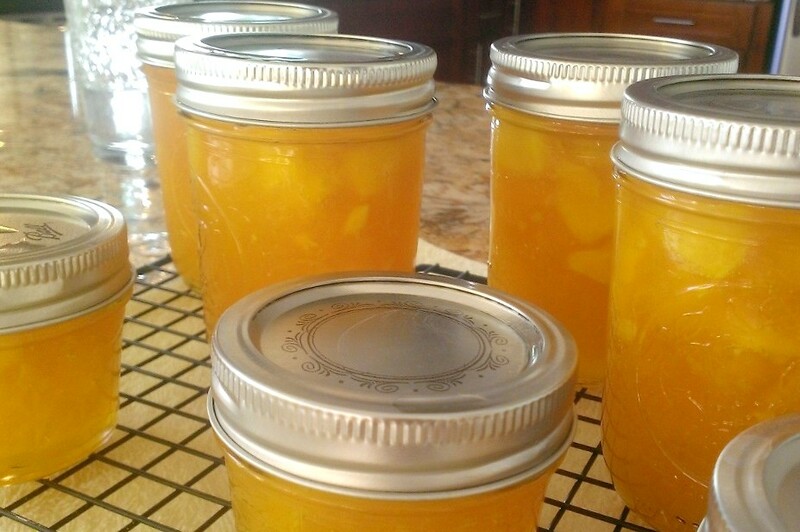 One at a time, remove jars from water and ladle in jam (leave 1/8 of an inch of head space); stir with a chopstick to remove air bubbles and clean the rim of the jar with a paper towel; remove a lid and a ring from the water and screw on the jar until it is snug; return filled jar to the boiling water. Remove the jars and place on a towel to cool. Listen for a popping sound as the jars cool, this means the jars have sealed. Once they are completely cooled, remove the rings and check the seals by pushing the top of each lid. If there is give, the jar is not sealed. Put any of these jars in the fridge, they will keep for a long time in there. Store all the sealed jars in a cool place….or just dig in! No toast required, all you need is a spoon.